We are a community that is constantly connected and on-the-go. I admit – I’ve got my smart phone and iPad with me just about all the time. But that doesn’t mean that connecting with my family is not important to me. In fact, I have been drawn to creating and preserving memories through taking and sharing photos and videos since long before I was a mom (and I’ve been a mom for a LONG time now). Instead of letting our connectedness detract from our memory sharing and creating, I believe that we can use technology to enhance our family relationships and create fantastic memories together. Having a cell phone on hand everywhere I go not only allows me to capture everyday moments in images and videos, stay connected to my teens through texting, and chat with family members on the other side of the country without any extra charges, but now I can use my phone to watch our vintage home movies, too. I remember the day when it was SO difficult to watch our home videos (I mean, how many video formats have you used in the last 20 years?). Now I can watch videos of my 16 year old as an adorable, curly-haired 2 year old playing the piano with her great grandma or laugh at my wedding video with a friend at a blogging conference. What makes sharing your vintage home movies so easy? YesVideo has a brand new iPhone/iPad app available in the Apple App Store. 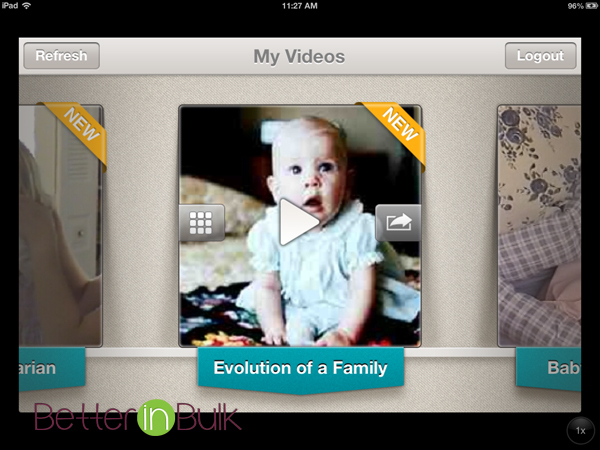 The new, free app allows you to view your entire library of old videos on-the-go, wherever you are. Transfer some videos. Before getting started with the app, send some old home movies to YesVideo to transfer them to DVD and digital media. All you need to know about transferring your movies to DVD is in my recent post. Download the free iPhone app. The app is compatible with iPhone, iPod Touch, and iPad, as well as Apple TV. You can find it in iTunes. Sign In to your YesVideo account using the app. Almost instantly, all your transferred memories will be ready for you to stream from your device. Watch your videos anywhere! 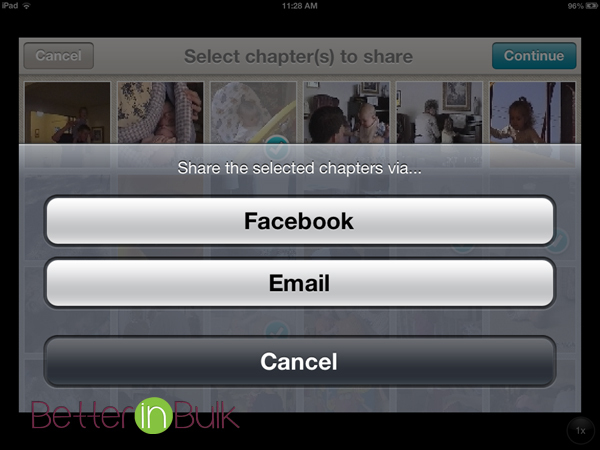 Jump to your favorite chapters instantly. 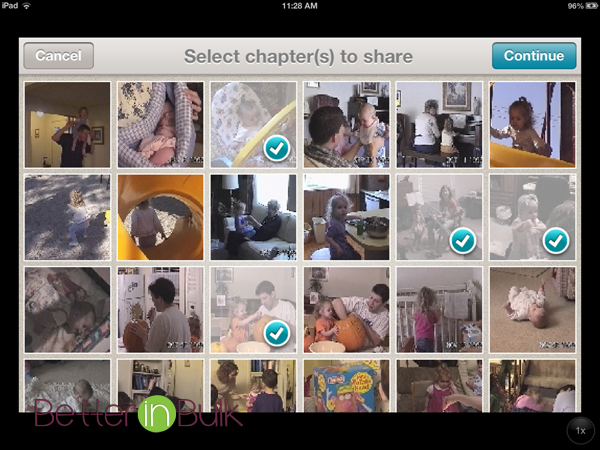 Chapters and thumbnail images allow you to jump right to your favorite scenes instantly. Enjoy your movies on the big screen with your Apple TV. The app is Apple AirPlay compatible which allows you to stream the videos playing on your phone to your Apple TV. Tap the Apple AirPlay icon while playing your video, and it will stream wirelessly through your Apple TV connected television. (Apple TV required. Learn more about Apple AirPlay at Apple.com). Yes, that adorable baby girl is…me! What videos would you love to be able to share on the go?